Exporter of a wide range of products which include stainless steel 316 ti bolts, stainless steel 904 l bolts, stainless steel 316ln bolts, stainless steel 347 h bolts, stainless steel 321 bolts and stainless steel 304 l bolts. 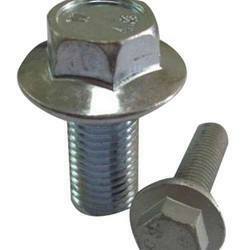 We are offering various kinds of Stainless Steel 316TI Bolts as per customers’ needs. They are manufactured from high end technology and purest metals and alloys. These products are constantly tested on well defined quality parameters. The range is known for long service life, high quality, optimum performance and includes stud bolts, hex head bolts, socket hexagon, head screw, anchor bolts, u-bolts, j bolts, mushroom head square neck bolts, t-head bolts, wing screw, eye bolt, eye bolt, foundation bolts and structural bolts. 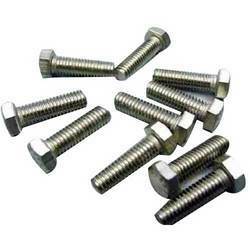 Stainless Steel 904 L Bolts that we offer are widely used in several engineering products manufacturing industries. We do complete quality and performance measure inspection of these Stainless Steel 904 L Bolts before delivering at the client’s end. These are widely appreciated for high quality and dimensional accuracy. These includes, hex head bolts, stud bolts, socket hexagon, anchor bolts, head screw, u-bolts, mushroom head square neck bolts, j bolts, t-head bolts, eye bolt, wing screw, eye bolt, structural bolts and foundation bolts. 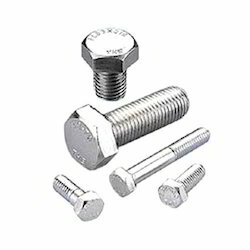 We are offering extensive ranges of Stainless Steel 316LN Bolts; which are manufactured from supreme technology and the purest metals and alloys. These products are tested on different quality processes and they are developed as per international guidelines. The range is highly popular in the market and includes stud bolts, hex head bolts, socket hexagon, head screw, anchor bolts, u-bolts, j bolts, mushroom head square neck bolts, t-head bolts, wing screw, eye bolt, eye bolt, foundation bolts and structural bolts. We charge economical rates. We offer an engineered range of Stainless Steel 347 H Bolts that are manufactured using extreme quality raw material. These are widely demanded due to salient features like corrosion resistance, standard grade of quality, less maintenance, exact specification and varied range. We perform quality and performance measures under various protocols in order to get smooth flow of operation. These includes, hex head bolts, stud bolts, socket hexagon, anchor bolts, head screw, u-bolts, mushroom head square neck bolts, j bolts, t-head bolts, eye bolt, wing screw, eye bolt, structural bolts and foundation bolts. We are the leading manufacturer, supplier and exporter of Stainless Steel 321 Bolts that is manufactured using high quality of pure metal and alloy as a raw material. These includes, hex head bolts, stud bolts, socket hexagon, anchor bolts, head screw, u-bolts, mushroom head square neck bolts, j bolts, t-head bolts, eye bolt, wing screw, eye bolt, structural bolts and foundation bolts. 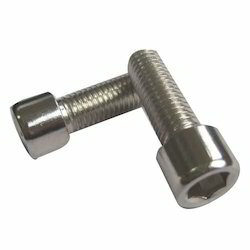 These Stainless Steel 321 Bolts are available in various specifications. 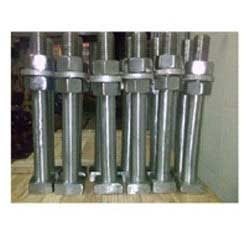 We supply these Stainless Steel 321 Bolts in various industries at competitive prices. 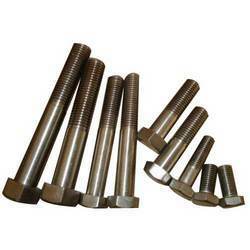 The extensive range of steel bolts which we manufacture consists of purest quality stainless steel and its alloys. We undertake several testing measures to ensure the quality , performance and standards. The range includes stud bolts, hex head bolts, socket hexagon, head screw, anchor bolts, u-bolts, j bolts, mushroom head square neck bolts, t-head bolts, wing screw, eye bolt, eye bolt, foundation bolts and structural bolts. 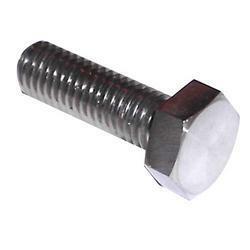 We offer an engineered range of Stainless Steel 321 H Bolts that are manufactured using extreme quality raw material. These are widely demanded due to salient features like corrosion resistance, standard grade of quality, less maintenance, exact specification and varied range. We perform quality and performance measures under various protocols in order to get smooth flow of operation. We also do customizations of these Stainless Steel 321 H Bolts as per the client’s specification. These includes, hex head bolts, stud bolts, socket hexagon, anchor bolts, head screw, u-bolts, mushroom head square neck bolts, j bolts, t-head bolts, eye bolt, wing screw, eye bolt, structural bolts and foundation bolts. Our high quality Stainless Steel 317L Bolts are manufactured and developed from top grade technology and purest metals and alloys. They are known for long lives and superior quality. Further, they are consistently checked on well defined quality standards to ensure optimum performance and usage. Our products are highly desired and the range consists of stud bolts, hex head bolts, socket hexagon, head screw, anchor bolts, u-bolts, j bolts, mushroom head square neck bolts, t-head bolts, wing screw, eye bolt, eye bolt, foundation bolts and structural bolts. 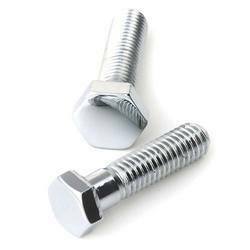 We are engaged in offering a wide range of Stainless Steel 310H Bolts which are exclusively used in various industrial and allied industries. Made of stainless steel 310H metals and alloys this range undergoes through various strict testing measures to ensure quality, performance and tensile strength. Made in accordance with the industrial standards this range comprises stud bolts, hex head bolts, socket hexagon, head screw, anchor bolts, u-bolts, j bolts, mushroom head square neck bolts, t-head bolts, wing screw, eye bolt, eye bolt, foundation bolts and structural bolts. 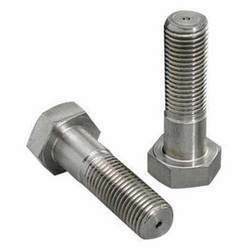 We offer an exclusive range of steel bolts which is made of high graded stainless steel alloys of grade 309 S. made according to the industrial standards these bolts are checked & tested through various strict measures which provide flawless service at the users end. The range includes stud bolts, hex head bolts, socket hexagon, head screw, anchor bolts, u-bolts, j bolts, mushroom head square neck bolts, t-head bolts, wing screw, eye bolt, eye bolt, foundation bolts and structural bolts. 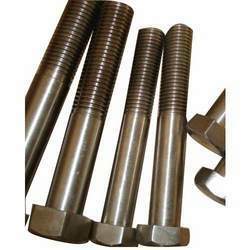 We are engaged in manufacturing & supplying a wide assortment of stainless steel bolts. 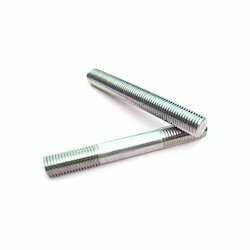 Fabricated with top quality stainless steel 310S alloys these bolts are tested through various strict measures which also ensure that the products are made in accordance with the industrial standards. The range includes stud bolts, hex head bolts, socket hexagon, head screw, anchor bolts, u-bolts, j bolts, mushroom head square neck bolts, t-head bolts, wing screw, eye bolt, eye bolt, foundation bolts and structural bolts. We offer our clients a distinguished range of Stainless Steel 347 Bolts that are manufactured by extreme grade of raw material. 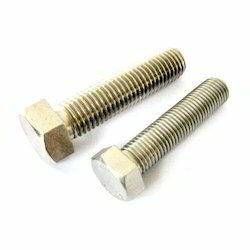 These Stainless Steel 347 Bolts are used in various kinds of industrial fittings. Our wide range of Stainless Steel 347 Bolts is manufactured in order to fulfill the demand of various small and large scale industries. We supply these Stainless Steel 347 Bolts after complete quality checking under certain parameters to our valuable clients. These includes, hex head bolts, stud bolts, socket hexagon, anchor bolts, head screw, u-bolts, mushroom head square neck bolts, j bolts, t-head bolts, eye bolt, wing screw, eye bolt, structural bolts and foundation bolts. 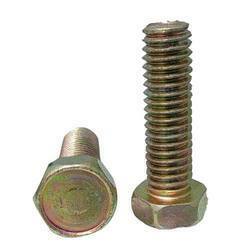 We offer a comprehensive range of stud bolts, which is used extensively in various industrial applications. stud bolts are available in different shapes & sizes and are reckoned for their various features such as corrosion resistance, dimensional accuracy and longer service life. 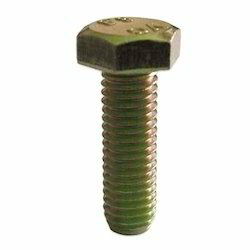 Our range of stud bolts is highly demanded all across the world because of its superior quality and cost effective prices. 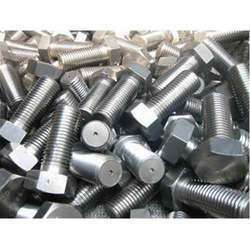 We are engaged in manufacturing a comprehensive range of steel bolts which are fabricated with top quality stainless steel 304. With outstanding anti-corrosive properties, high strength and high tolerance power these products are used for high –end industrial applications. Our offered range includes stainless steel nuts bolts, hexagon head screw and fasteners. We are offering premium and high quality Stainless Steel 316 Bolts; that are manufactured with the help of best available technology and purest metals and alloys. They are continuously tested on well defined quality checking processes to ensure high quality, long life and optimum performance and maintenance. They are offered at highly competitive rates and include stud bolts, hex head bolts, socket hexagon, head screw, anchor bolts, u-bolts, j bolts, mushroom head square neck bolts, t-head bolts, wing screw, eye bolt, eye bolt, foundation bolts and structural bolts. Our extensive and remarkable quality Stainless Steel 317 Bolts’ is manufactured from purest metals, alloys and best available technology. These products are tested on different quality standards to ensure quality, long service lives and optimum performance. They are highly popular in the market and include stud bolts, hex head bolts, socket hexagon, head screw, anchor bolts, u-bolts, j bolts, mushroom head square neck bolts, t-head bolts, wing screw, eye bolt, eye bolt, foundation bolts and structural bolts. Looking for Stainless Steel Bolts ?